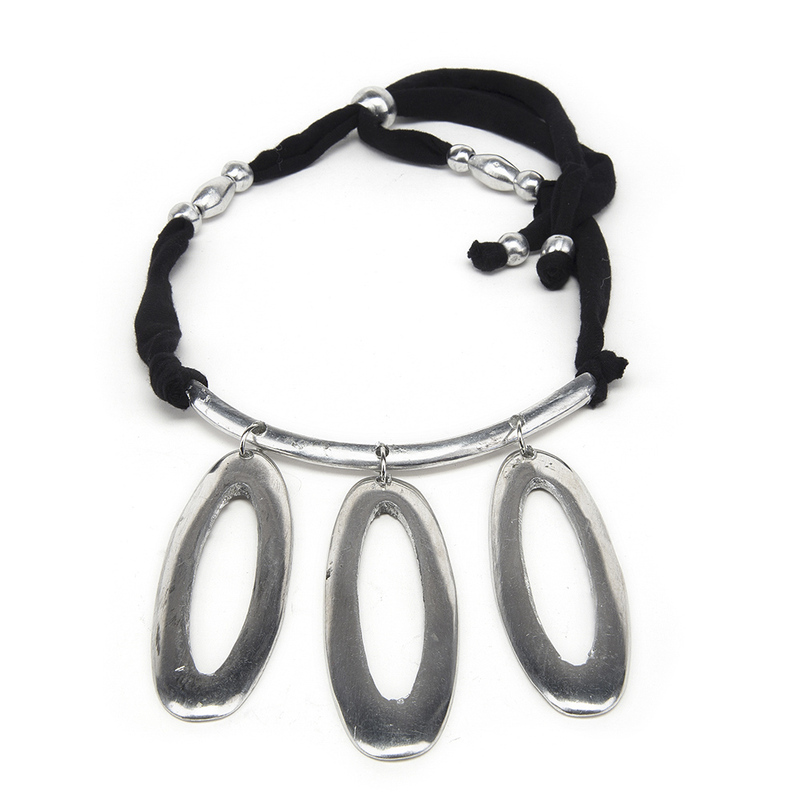 choker necklace with geometrical elements, made in jersey and 100% recycled aluminium. Categories: Jewelry, Aluminum Jewelry, Jersey Jewelry, Lycra Necklaces. Tags: bigiotteria, bigiotteria aluminium, bigiotteria jersey, Necklaces.